In 2014 in the US 644 cases of measles occurred, the most in more than two decades. Already more than 100 people affected by measles outbreak that began in mid-December at the Disneyland theme park in California, and whose severity has made the president of the United States, Barack Obama, asked publicly parents to vaccinate their children. Tom Frieden, director of the Centers for Disease Control and Prevention US (CDC, for its acronym in English), warned that that organization is “very concerned” about the possibility of further increases cases of this disease, which have been detected in 14 states and Mexico, and have unvaccinated mainly diagnosed patients. “In recent years, a small group of people is increasing not been vaccinated. That number is increasing among young adults in our society and that makes us vulnerable,” Frieden said. The figures support the director of the CDC since 2014 in the US 644 cases of measles occurred, the most in more than two decades. Thanks to vaccination campaigns started half a century ago, in 2000 in the USgave eradicated the disease, which is characterized by the appearance of red spots on the skin, fever and a general weakening, and may suffer permanent damage and even death. The increase in cases in recent years has been accompanied by an increase in the number of parents who choose not to immunize their children for alleged adverse health effects that some experts attribute to vaccines. The “anti-vaccine” movement gained momentum in the US especially since 1998 when it was published in the journal The Lancet study the British doctor Andrew Wakefield, in which the triple viral vaccine which is administered for immunization against measles, mumps and rubeola- was linked with the autism. 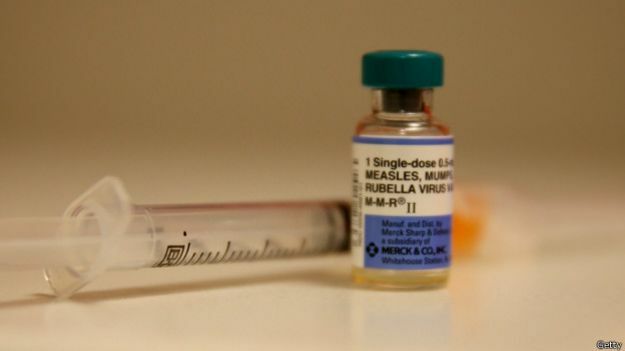 The measles vaccine is effective for more than 95%, according to experts. Subsequent medical research has shown that the conclusions of Wakefield, who eventually lost his license to practice medicine-no scientific base, but the damage was done. In places like California, since 2007 has doubled the number children who do not receive all relevant vaccines, causing some schools the percentage of immunized children is less than the level of between 92% and 95% required to be given the known as herd immunity, which provides protection to individuals who have not been vaccinated. 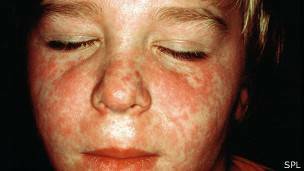 Measles is characterized by the appearance of red spots on the skin. Thus, in the Capistrano School District in Orange County, the percentage of children who have not received all the required vaccinations stood at 9.5%, while in Santa Ana, poorer neighboring community, this figure is just 0.2%. Some schools in more affluent areas of southern California the number of unvaccinated students exceeds 50%. While in New York, according to local media recently reported in some of the most exclusive schools in Manhattan, the percentage of students who have received all vaccines given by doctors is below 80%. US vaccination of children is mandatory, although all states provide exemptions for medical reasons, for children with a weakened immune system or are allergic to vaccine components. In 48 states exemptions for religious reasons are also given and twenty for personal reasons of the parents. It is the latter that most have increased in recent years, particularly in households with more resources. 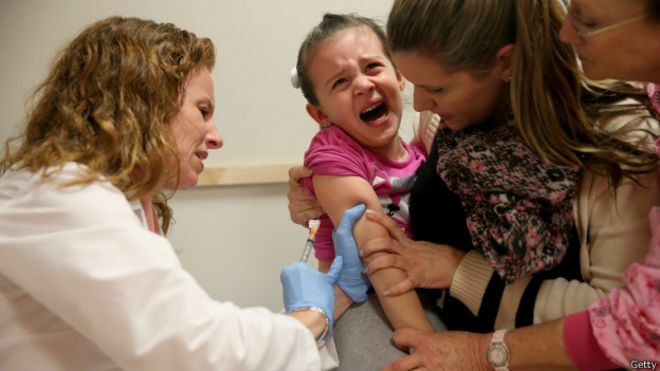 “The highest levels of children who have not been vaccinated usually find in the wealthiest communities in which it gives importance to keep a healthy lifestyle,” explains in conversation with BBC Nina Shapiro, a pediatrician and professor at the School medicine at the University of California, Los Angeles. Shapiro does not believe that these parents want to cause any harm to their children. In the poorest households are less parents who voluntarily choose not to vaccinate their children. 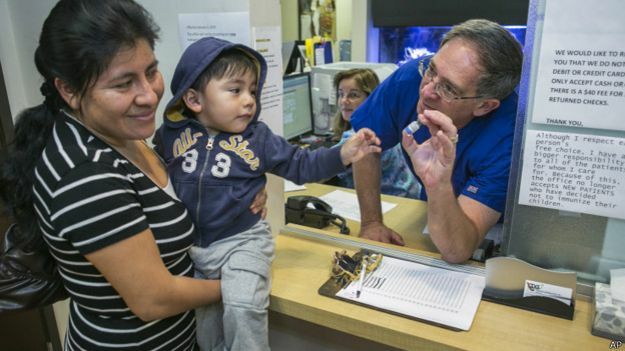 “What happens is that they have the luxury to choose whether to vaccinate. In affluent households have no contact with these diseases. Do not know fear giving your child from getting measles or other potentially deadly disease,” said the expert. “Instead, they are influenced by the media and health experts to ensure that vaccines can be harmful. I think many parents have been given misinformation”. Cynthia Leifer, professor in the department of immunology at Cornell University in New York, believes that one of the reasons why parents are less resource-poor households which are contrary to vaccines is that “they value more medical care their children receive. “Households with more money become complacent and do not give value to this type of medical procedures”. The current measles outbreak began in mid-December Disneyland. “Not everyone reacts the same way to drugs such as vaccines and we must ensure that we minimize the risks for the most vulnerable people have adverse reactions,” says Fisher. 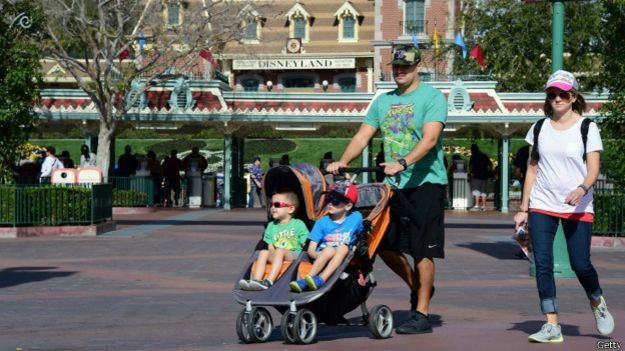 Fisher’s opinion is not shared by the American medical community, since according to a survey released Monday in which involved 3,000 doctors across the country, 92% of respondents considered that the measles outbreak started in Disneyland is attributable to parents who have their children vaccinated.